Home Top Singapore Intends to Acquire Russian MANPADS "Igla-S"
Singapore Intends to Acquire Russian MANPADS "Igla-S"
Singapore Armed Forces may acquire Russian-portable air defense systems (MANPADS), "Igla-S". This was stated by ARMS-TASS head of the design department Engineering Design Bureau (KBM) holding "Precision complexes" Georgy Vasilyev. "From Singapore we have long-standing ties, they are going to negotiate the possibility of acquiring Igla-S", - he said. The army has Singapore currently has an old version of MANPADS "Igla". The main differences of the modernized complex is to increase by about half power of the missile increased to 6 km range missile applications due to different decisions in the field of aerodynamics, as well as advanced algorithms breeding goals and increased noise immunity. 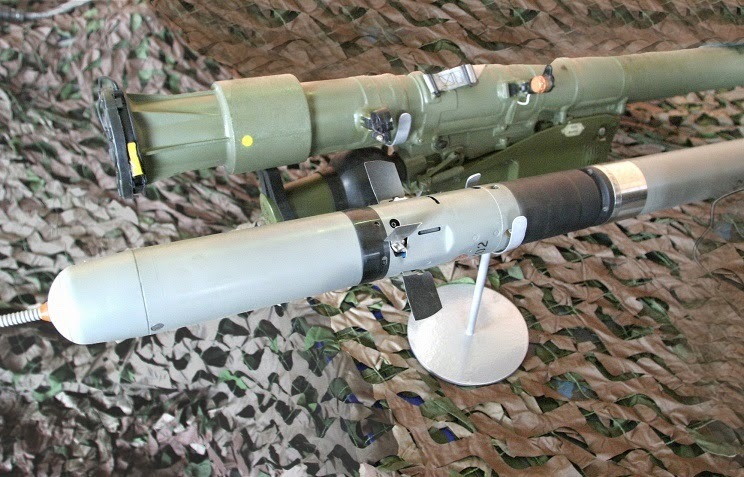 Anti-aircraft guided missile (SAM) MANPADS "Igla-S" is equipped with a contact-proximity fuse, which also provides high hit probability. Installing microelectronics and holding SMD allowed to reduce the amount of homing (GOS) and, consequently, increase the mass of the warhead SAM - from 1.3 kg to 2.5 kg. Application detonation fuel enhancer striking effect in undermining warhead, also significantly increases the combat effectiveness of missiles. Vasilyev noted that in addition to Singapore's "Needle-S" attended to Turkey, Malaysia and Egypt.